Each year, healthcare agencies undertake the crucial task of choosing which particular influenza virus strains will be included in vaccines to be manufactured and deployed in time for the next flu season. Selection is assisted by history and epidemiological surveillance but, as in this, the 2017-2018 flu season, mismatching of vaccine composition and the actual infecting strains greatly reduces the impact of vaccination. That flu viruses regularly undergo changes that render vaccines ineffective has been known since the introduction of large scale flu immunization campaigns in the 1950s, leading to the World Health Organization setting up a global influenza surveillance and response system. 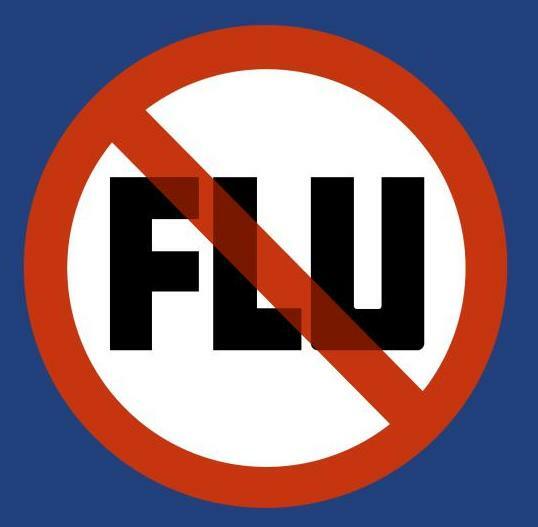 Seasonal flu infection is largely due to influenza Type A, and to a lesser extent, the generally less severe influenza Type B. Type C influenza strains cause only mild and sporadic infection. New “pandemic” strains, to which there is no widespread immunity, can pop up with devastating effect. The “Spanish Flu” of 1918-1919 may have caused 20-50 million deaths (more than in the Great War), while the 2009 “swine flu” pandemic may have caused more than half a million deaths. Flu vaccines work by inducing a neutralising antibody response to haemagglutinin (HA), a protein expressed on the surface of the virus essential for infection and spread. HA can, unfortunately, undergo regular “antigenic shift”, necessitating annual adaption of seasonal flu vaccine composition to match the characteristics of the infecting strains. The logistical challenge of getting the right vaccine ready at the right time (a task still almost completely dependent on growing the selected virus strains in hen’s eggs), along with the need to be better able to deal with future flu pandemics, are powerful incentives to develop so-called “universal” flu vaccines, capable of inducing long-lasting or even lifelong protective immunity which is not compromised by the mutability of the HA protein. Moreover, recombinant protein vaccines would simplify large-scale manufacture and speed up vaccine availability in the face of a pandemic. Government and industrially funded research is pursuing a variety of routes towards a universal vaccine. A leading contender being developed by Vaccitech, an Oxford University spin-out (backed in part by Google’s venture fund), combines two highly-conserved core proteins (nuclear protein and matrix protein 1) that are naturally expressed by influenza A strains. A Phase II clinical study, which aims to eventually recruit over 2000 subjects aged over 65, is now underway, with recruitment of the initial tranche of volunteers announced earlier this month. It’s hoped that the vaccine will elicit both antibody and cellular immune responses to generate long-lasting protection. A not dissimilar approach is being pursued by BiondVax. Various antigenic sequences (“epitopes”) present in HA, nuclear protein and matrix protein have been selected for their ability to elicit both antibody and cellular responses and knitted together in a single recombinant protein. The company hopes to initiate a Phase III study in Europe later this year, involving 7,700 subjects aged 50 years or older older, with at least half of participants being over 65 years of age. Promising pre-clinical candidates include synthetic nanoparticles incorporating multiple copies of a conserved matrix protein developed at Georgia State University, while another Georgia group (in collaboration with Sanofi Pasteur) has used computational analysis to cherry-pick and combine different epitopes from HA proteins to induce antibodies broadly protective against one particularly important flu strain and its variants. DNA vaccination, in which a piece of flu virus DNA is injected and then expressed as an immunising protein by the subject’s own cells, has been shown to reduce the effects of flu infection in primates. An advantage of DNA vaccination is that the “immunising” strand can encode several different conserved flu proteins to give broad protection. On the other hand, despite the wide optimism over the utility of DNA vaccination expressed during the last 25 years, only a handful of veterinary DNA vaccines have obtained regulatory approval. "All done. See you again in five years"
While there’s no shortage of ingenuity and endeavour, a truly “universal” flu vaccine remains a good way off. Progress has so far been largely confined to influenza A viruses and the ideal universal vaccine will need to provide protection against influenza B (and ideally, pandemic strains and those of animal origin). Science is only one barrier. As with other vaccines, large scale studies will be required to establish efficacy over conventional vaccines and safety, particularly in those at most risk from flu infection (young children and the elderly). Meaningful evaluation and deployment of a universal flu vaccine is likely outside the capacity of industry or national agencies and will require regional, if not global, co-operation and co-ordination if we are to finally attain adequate protection against “la grippe”. 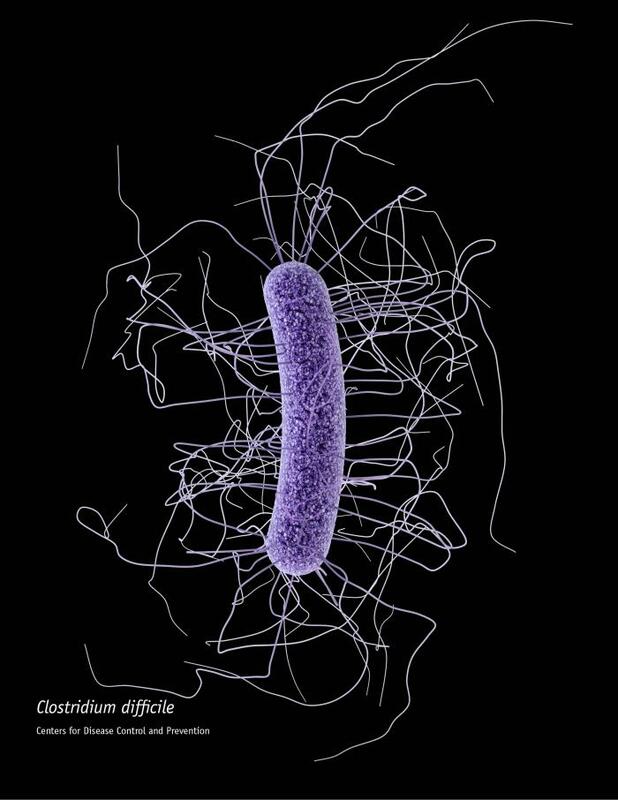 The C.difficile epidemic. Sugar rush? 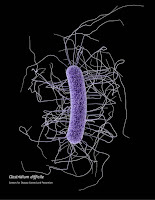 Clostridium difficle features high on the list of public (health) enemies, being a notorious cause of life-threatening hospital-associated infection, particularly in the elderly. The rise of C.difficile infection from being an occasional complication of hospitalisation to full-on epidemic in Europe and North America in less than a decade coincides with the appearance of more dangerous strains, readily identifiable through differences in the genes that encode for ribosomes, the macromolecular complexes that translate genetic information into proteins. Ribosmal gene fingerprints (“ribotypes”) indicate that, from the early to mid-2000s, the appearance of strains of two particular C.difficile ribotypes, 027 (also known as NAP1) and 028, correlated with a steep increase in severe C.difficile infection and death. These so-called “hypervirulent” strains are much studied and while certain characteristics explain their propensity to cause severe infection, including toxin production, greater adherence to human gut cells and prolific spore formation, the reason for the sudden appearance of the 027 and 028 strains remains an epidemiological mystery. An international research group centred at Baylor College of Medicine has raised the intriguing possibility that the C.difficile epidemic may be in fact self-inflicted, with the rise in hypervirulent infection being fuelled by an increase in dietary trehalose, a food additive which hit the mass market in the early 2000s. Trehalose, a natural sugar, has the handy properties of being able to survive high temperatures without browning while preserving cell structure on freezing. Low cost manufacture of this sugar resulted in trehalose becoming ubiquitous in processed foods, jam, fruit juice and ice-cream (with some brands containing over 10% trehalose). The hypervirulent 027 and 028 C. difficile strains are capable of thriving on low concentrations of trehalose as their only source of carbon. Sequencing has revealed a genetic variation in 027 strains and the presence of additional genes in 028 strains, each of these differences from “normal” C.difficile strains conferring the ability to utilise low concentrations of trehalose. Knocking out the genetic variant in a 027 strain reduced its virulence in mice, while adding trehalose to the diet of infected mice resulted in increased mortality, possibly through increased toxin production rather than an increased rate of bacterial overgrowth. Fluid collected from the small intestines of three volunteers on normal diets contained sufficient trehalose to trigger expression of the trehalose-metabolising gene in 027 strains, but not in other C.diffcile strains. Although circumstantial, the discovery that hypervirulent C.difficile stains are uniquely adapted to make good use of low trehalose levels, together with the close temporal fit between the spread of these strains and the upswing in dietary trehalose makes for a compelling story. On the other hand, increased trehalose consumption alone does not explain national differences in the appearance and dominance of hypervirulent strains, nor the rapid decline of these strains in the UK and other countries. A history of antibiotic use is an established risk factor for severe C.difficile infection and it’s possible that antibiotic-induced changes to the gut microbiome confer a selective advantage to hypervirulent strains. And it’s far too early to start worrying rationally about trehalose, although minimizing intake in those with established risk factors for C.difficile infection might be worth consideration. Could bugs beat broccoli in cancer prevention? Generations of parents (including this writer) have berated their offspring with the message that green stuff, while looking and tasting yucky, is really, really good for you. And, for all sorts of reasons, including a reduction in lifetime cancer risk, it’s a message worth heeding. Many fruits and vegetables are rich in metabolites which act directly or indirectly on pre-cancerous or cancer cells to constrain or reverse tumour formation, albeit with limited effect. Daily consumption of a large quantity of fruits and vegetables is required to get even close to preventative metabolite levels, something that does not sit conveniently with most modern lifestyles. In a neat piece of lateral thinking, a cross-disciplinary research group at the National University of Singapore has engineered a strain of one of the commonest gut bacteria, Escherichia coli, to latch onto colorectal cancer (CRC) cells and express an enzyme that converts an abundant dietary metabolite into a potent cancer inhibitor. 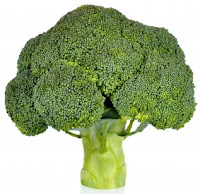 The metabolite of interest, glucosinolate, is found in cruciferous vegetables (brassicas to us Brits), including broccoli, the unfairly maligned Brussels sprout, cauliflower and rocket. Broccoli and its ilk are rich in glucosinolate, a precursor of sulforaphane, a compound known to inhibit cancer in a variety of ways. Sulforaphane production is catalysed by myrosinase, a plant enzyme that's largely lost during cooking. Gut bacteria can break down glucosinolate, although not with sufficient efficiency to maintain useful sulforaphane levels. The Singapore group was able to demonstrate that, in the test tube, an engineered E.coli strain, designated EcN, inhibited growth of CRC cells, but not cells from breast or stomach cancers or smooth muscle cells. When tested in a mouse model of CRC, EcN was found to bind to tumour cells in the gut and substantially increase the plasma concentration of metabolites akin to glucosinolate. Tumour burden was reduced by 75%. One unwanted effect was an increase in bleeding in the gut compared with untreated mice, although this may have been related to the mouse cancer model, and not a direct consequence of tumour cell binding. While raising more questions than answers, this research does hint at the future prospect of being able to boost the limited anti-cancer effect of diet through supplementation by engineered probiotics. Caution is warranted: our understanding of interactions within the gut microbiome is in its infancy and introduction of an engineered arriviste could have subtle and unpredictable consequences. And, as with other dietary approaches to cancer prevention, generating robust efficacy and safety data presents a significant challenge. Gene therapy and fair value. Back in March, I wrote a piece regarding the coming impact of high ticket gene therapies on healthcare budgets. December saw the FDA approval of Spark Therapeutic's Luxturna™ (voretigene neparvovec), a unique treatment for biallelic RPE65-mediated inherited retinal disease, a form of Leber's congenital amaurosis, which results in early onset, progressive loss of vision. Predictably, Luxturna's approval has reopened the debate around the cost of leading edge therapies. At around $850,000 to treat both eyes, Luxturna™ pricing is somewhat lower than the $1 million plus price tag anticipated by industry analysts, although it's still the most expensive drug in the US by list price. Justifiable? Perhaps. Gene therapy product approval is not a guaranteed path to riches. As with other genetic disorders, the potential treatment population is small, being around 1000-2000 sufferers in the US, with around the same number in Europe. Moreover, Luxturna™ is a one-time treatment. While even modest uptake should cover Spark's development costs, the overall return to Spark will be, by pharma standards, unremarkable. Spark appears pragmatic in its approach to reimbursement, offering insurers rebates should patients fail to achieve an agreed degree of benefit, although with only limited and short-term study data available, defining a improvement for rebate purposes will not be easy. Spark is also thought to be considering an annuity model, allowing insurers to pay over time [see update of 12th January below]. So much for cost, but what about value? Although not an easy calculation, tallying the lifetime benefit accruing from reduced direct and indirect medical costs, increased individual economic activity and quality of life improvement, might come close to justifying Luxturna’s price tag. A draft assessment published by the Institute for Clinical and Economic Review published just prior to Luxturna's approval concluded that, although likely to result in better outcomes than standard care, Luxturna would probably not prove to be cost-effective at an assumed acquisition cost of $1 million. Another crank of the spreadsheet incorporating the actual drug price and post-approval efficacy data, particularly the durability of benefit, could tip the balance in Luxturna's favour. The UK's National Institute for Health and Care Excellence (NICE) recently concluded that, compared with the cost and risk associated with stem cell transplantation for the treatment of adenosine deaminase deficiency–severe combined immunodeficiency (ADA-SCID or "bubble boy" syndrome) GSK's gene therapy, Strimvelis™, provided both the best treatment option and value for money, despite its €594,000 (around £505,000) price tag. Although invariably flawed, cost-effectiveness analysis needs to be at the centre of gene therapy pricing and adoption debates. Such analyses may not always prove favorable, but without an objective means of establishing fair pricing and reimbursement, gene therapies could become out of reach for many patients. The commercial abandonment of Glybera™,a gene therapy for lipoprotein lipase deficiency and announcement of GSK's intention to abandon Strimvelis® (and rare disease therapy development in general) are portents that should not be ignored. 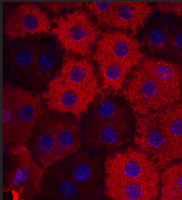 Photo credit: National Eye Institute, National Institutes of Health. Are IDO inhibitors still the next big thing in immuno-oncology? It's a safe prediction that immuno-oncology (IO) drug development activity is unlikely to diminish in 2018, with a major objective being the validation and approval of agents that synergise with the established anti-CTLA-4 and anti-PD-1/PD-L1 immune checkpoint inhibitors. Much has been written on the broad utility of inhibitors of indoleamine-2,3-dioxygenase-1 (IDO), an intracellular enzyme present in both immune cells and cancer cells and which regulates tryptophan levels in the tumour microenvironment (TME). Depletion of tryptophan by upregulated IDO expression starves cancer-antigen specific T cells, while a rise in the concentration of tryptophan metabolites triggers the development of immunosuppressive Treg cells. This central role in local immunosuppresion and the prospect of synergy with immune checkpoint inhibitor treatment and other immunotherapies has made IDO (along with a similar enzyme, tryptophan-2,3-dioxygenase 2- TDO) an attractive target for IO drug development, and a variety of orally available small molecule inhibitors have entered clinical evaluation as both monotherapy and in combination with immunotherapies or cytotoxic cancer drugs. Big pharma interest in IDO and TDO inhibitors has fuelled several “big headline” partnering deals, including BMS and Flexus Biosciences ($1.25 billon); Roche and CuraDev Pharma ($555m); Roche and NewLink Genetics ($1 billion), and Incyte Pharma and Roche, AstraZeneca, Merck and BMS (undisclosed terms). IDO inhibitor progress has been mixed. In June last year, Roche returned the rights to NewLink's navoximod (GDC-0919), the latter failing to meet any of the primary study objectives (overall survival, progression-free survival or objective response rate) when combined with taxane chemotherapy in breast cancer patients. Combination with Roche's ant-PD-L1 immune checkpoint inhibitor, Tecentriq® did not achieve an overall response rate better than Tecentriq® alone in patients with advanced solid tumours. 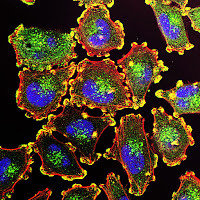 Absence of efficacy was cited by iTeos Therapeutics today as the reason for termination of an IDO development partnership with Pfizer following analysis of interim trial data from a Phase I monotherapy study in patients with malignant glioma. Failure in cancer drug development is, unfortunately, the norm rather than the exception, and it's possible that other IDO inhibitors with different chemistries and better bioavailability may prove capable of either upping the response to immune checkpoint inhibitors or being valuable treatments in their own right. Phase II data from a study of Incyte's epacadostat in combination with anti-PD-1 (Keytruda®) hinted that the combination might prove superior to, and safer than, combined anti-CTLA-4 (Yervoy®) and anti-PD-1 therapy in patients with advanced melanoma. A Phase III study (NCT02752074) is underway in collaboration with Merck, with primary data anticipated around the middle of 2018. AstraZeneca, a company which could stand some good IO related news, recently expanded its collaboration with Incyte to include lung cancer studies in combination with the anti-PD-L1 checkpoint inhibitor, Imfinzi®; other companies, including Kyowa Kirin, Jubilant Biosys, Kyn Therapeutics and e-Therapeutics have recently entered the IDO/TDO inhibitor game. The apparent failure of ITeos's candidate might not give immediate cause for concern (glioma is a very hard target), but it's reasonable to suppose that there are many fingers crossed in pharma management meetings in the hope that Incyte's Phase III study leads to registration and paves the way for the first small molecule IO treatments.